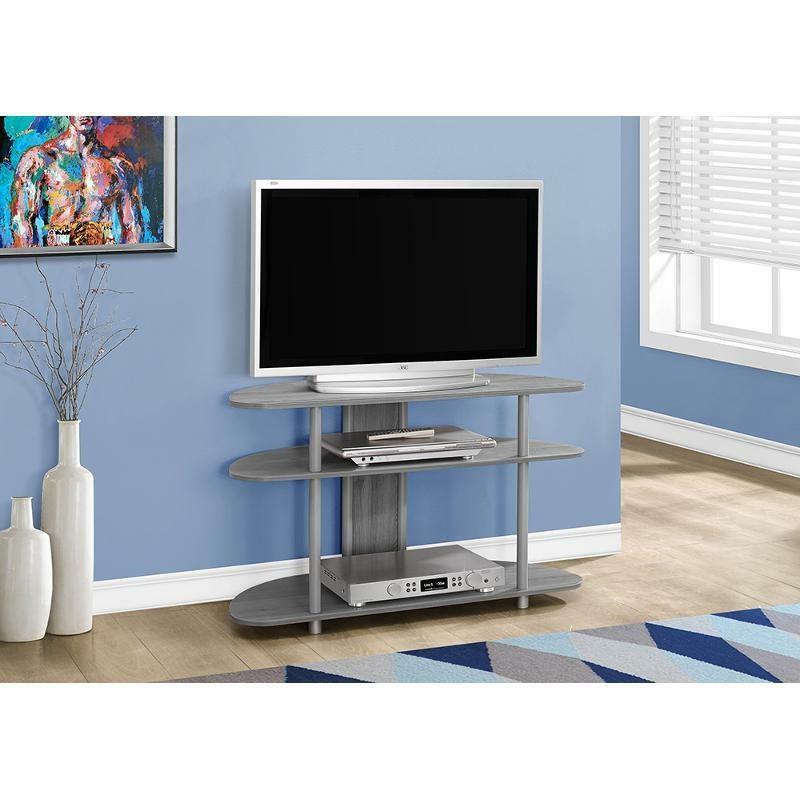 Ideal for small spaces, this sleek grey corner TV stand from Monarch Specialties is angled to fit snugly into a corner or against any wall in your home. 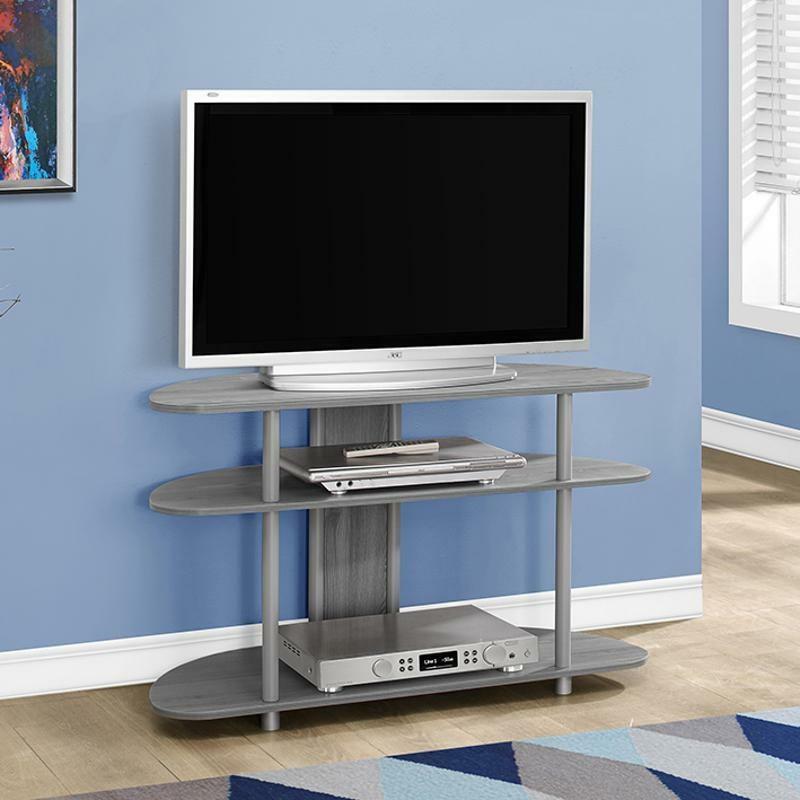 Featuring a center shelf for electronic components and an additional bottom shelf for DVDs, sound bars and other AV accessories this stand is sure to keep you organized in style. With ample surface area finished in a chic grey oak this piece accommodates up to a 40" flat panel tv.